Explore the tragic history and forgotten inhabitants of Seattle’s abandoned Comet Lodge Cemetery. 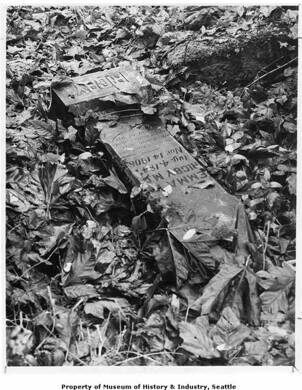 Seattle’s Comet Lodge Cemetery sits abandoned, itself having been buried by time, greed, and bureaucracy. Today, most observers pass by the cemetery without even recognizing the hallowed ground. Join field agent Jared Steed, as we explore the cemetery and learn about its tragic history and its largely forgotten inhabitants. Ten percent of each ticket sold will be donated to the Duwamish tribe. We'll meet at the southeast corner of the cemetery at the intersections of S. Graham St. and 23rd Ave. S. The address for the cemetery itself is 2100 S. Graham St., Seattle, WA 98108. As the cemetery is surrounded by residential streets, public parking is extremely limited. Please read signs carefully and park at your own discretion. We recommend that you plan for public transportation options to and from this event. The tour is entirely outside and will run regardless of rain. Please wear comfortable walking and water-resistant shoes. This tour will involve walking approximately one-half mile over uneven grass and ground, including stepping over sunken plots, woody debris, and muddy areas. The grass is often slippery when wet. Please be aware there are no paved or maintained paths within the cemetery grounds. Each participant will need to sign a liability waiver. Tour is family-friendly but parents must keep an eye on their children. Email Jared Steed at jared.steed@atlasobscura.com.